How clever you were to go to Chicago3 and have your party just as you planned! I am so glad you did. Those things do one a lot of good. Jack4 could not come. We had a quiet Xmas for Edith's5 eye was bad again. Xmas Eve I went to the Hambourgs6 for dinner, and Xmas night we had Joe Charter7, our young widower and Sanborn8 the musical critic of the Globe9 here10 for dinner and sent them away at 9 oclock because of the game eye (Edith's). Yesterday we were in health and had a very gay Friday afternoon, about 30 people came, many of them friends from Pittsburgh11 here for the holidays, among them Alfred McClung12. After din tea I had to dash up to the Biltmore to dine with some friends from Boston13. Today I'm quite tired, but I had to go to a concert with the Hambourgs this afternoon. On Wednesday I lunched at their home with Harold Bauer14, the pianist, and his wife15, and Kreisler16 the violinist. Isabelle makes a charming hostess for artists and celebrities. Isabelle17 and Jan18 gave me two grad beautiful Russian candelabra for Christmas, beautiful c design and each one holds five candles. They make a lovely light for tea. We have also a new tea table, but our grandest possessions are three wonderful new paintings19—scenes along the Mediterranean and the Ionian sea by her artist friend, Earl Brewster20, who lives in Italy21. They are so large and handsome that it will positively impoverish us to frame them. His pictures bring from $200 to $500 each now, and these are very fine ones. They are not a gift outright, but he says he wants us to keep them for years and years. I have a trifling little story22 in A Gold Slipper Harper's Monthly23 this month. It might amuse you if you happen on it. It is so bad that I got $450 for it. I quite needed the money. The 'high cost of living' makes our expenses here2 about a third more than they were last year. It takes 25¢ worth of apples to make one pie, and chickens are 42¢ a pound. A five pound chicken costs $2.10! Beef is 36¢, nearly as bad. Well, we'll probably manage to keep the wolf off Bank street somehow, and meanwhile I positively rejoice in your Chicago adventures, my dear Bobbie. 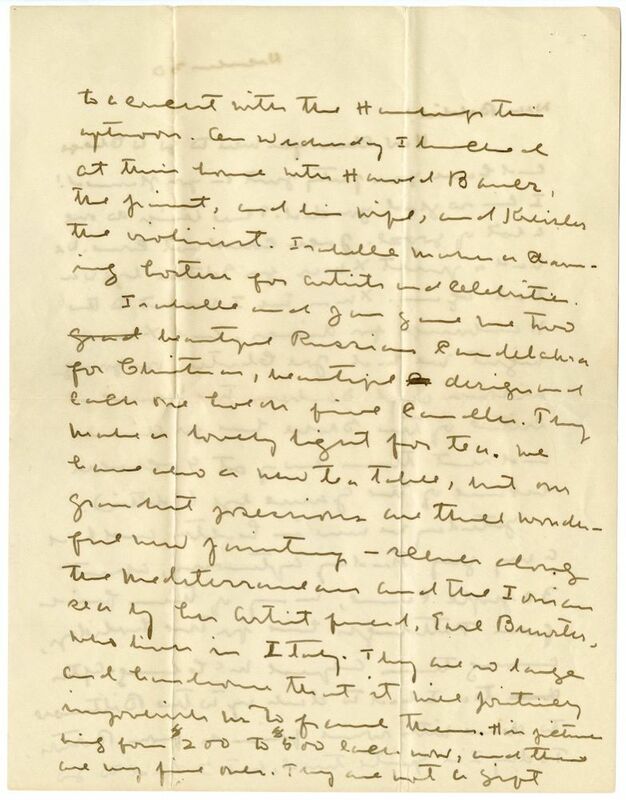 "The Gold Slipper" was published in the January 1917 edition of Harper's Monthly Magazine, indicating that this letter was written in 1916. In her 7 January 1917 letter to the Brewsters, Cather names "The Family by the Sea" as a painting she particularly enjoys having in their apartment. Charter, Joe. 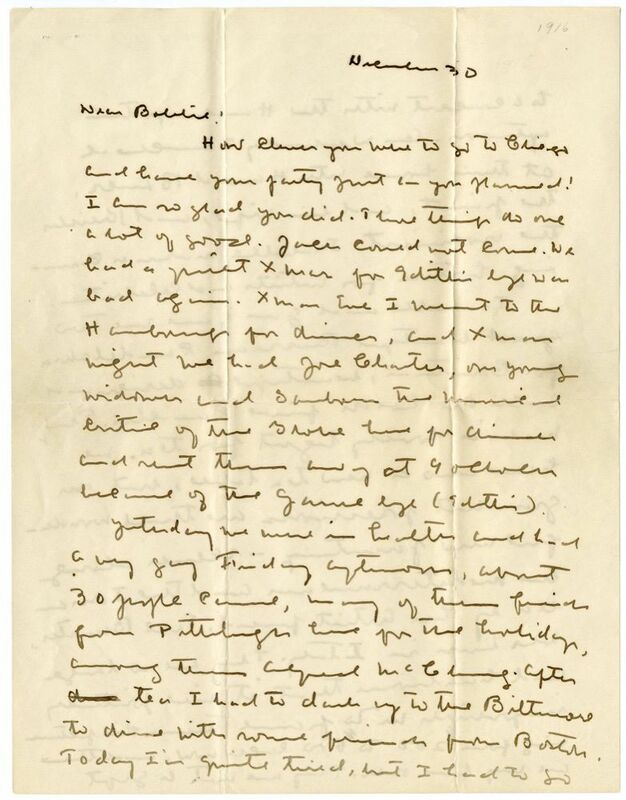 Willa Cather and Edith Lewis invited Joe Charter, a young widower, to Christmas Eve dinner in 1916. No further information is available about this person. Bauer, Harold Victor (1873-1951). British pianist. Born in Kingston, England, Harold Victor Bauer began his career as a concert violinist and started studying piano with Ignace Jan Paderewski in 1893. Bauer toured Europe extensively as a pianist and made his U.S. debut in 1900. He married Marie Knapp in Paris, France, in 1906. He edited piano music for the music publisher G. Schirmer and taught at the Manhattan School of Music and the University of Miami. 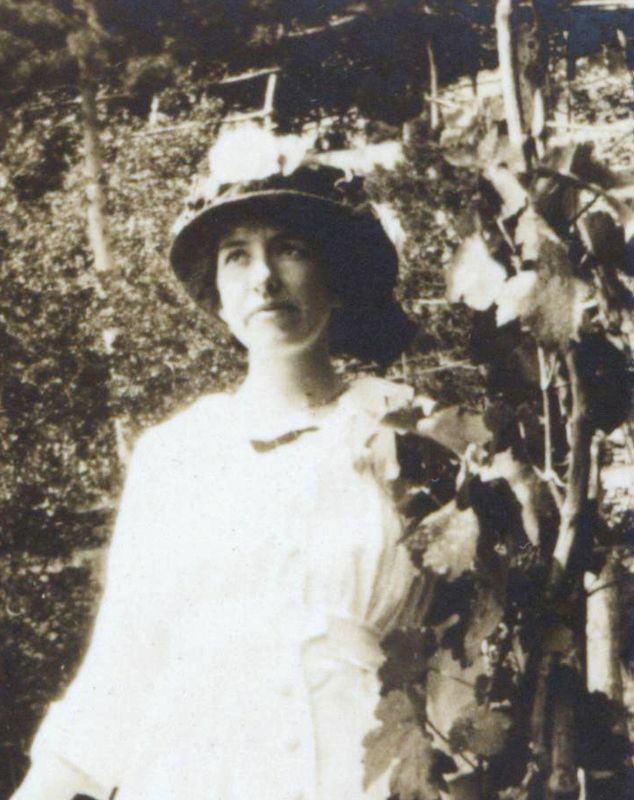 Willa Cather had lunch with Bauer and his wife at Isabelle and Jan Hambourg’s home in 1916. 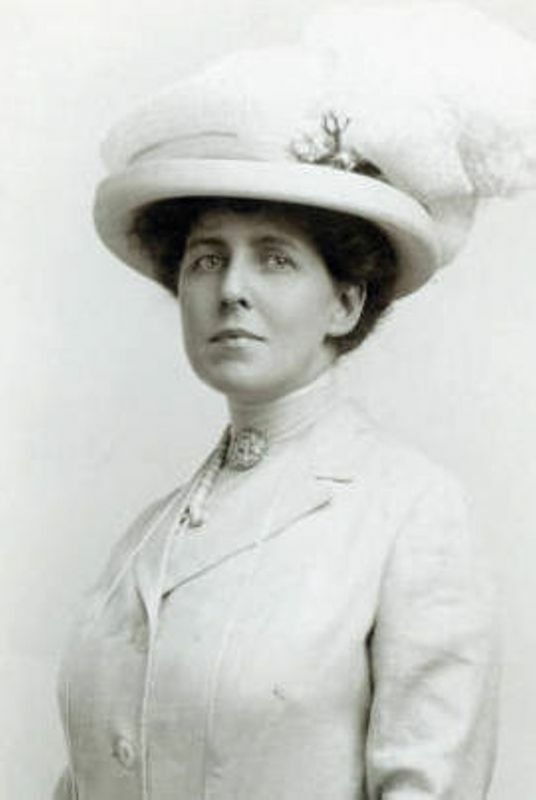 Bauer, Marie Knapp (c.1862-1940). Harold Bauer's wife. 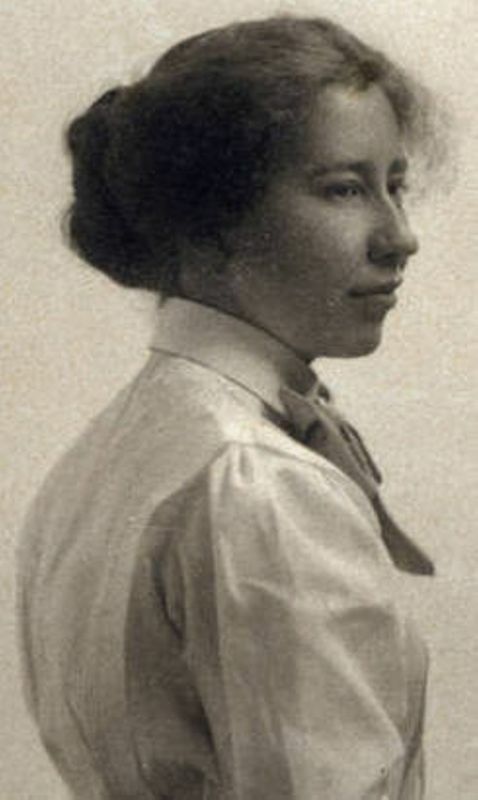 Born in Stuttgart, Germany, Marie Knapp married pianist Harold Bauer in Paris, France, in 1906. 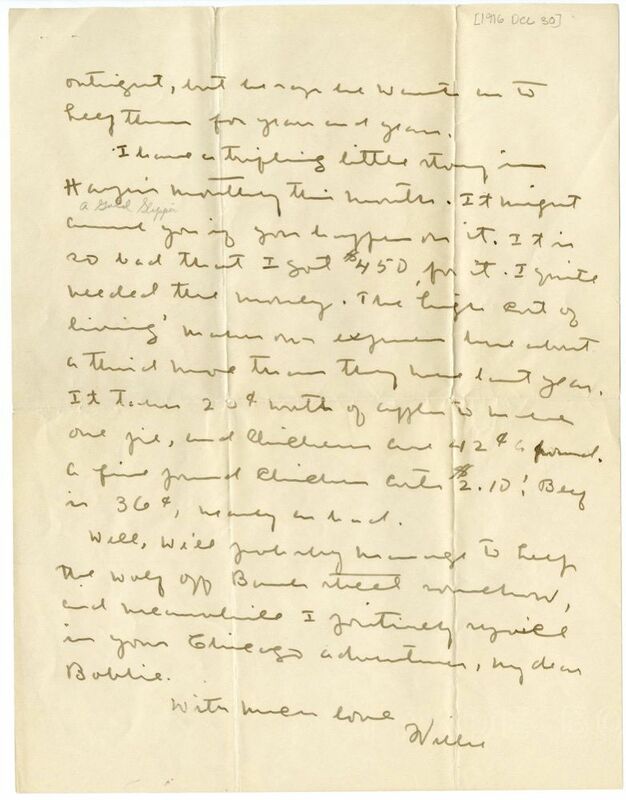 Willa Cather had lunch with the Bauers at Isabelle and Jan Hambourg’s home in 1916. Kreisler, Fritz (1875-1962). Austrian-born violinist and composer. Born into a Jewish family in Vienna, Austria, Kreisler is widely recognized as one of the great violin virtuosos of the early twentieth century. In 1916 Cather met him in New York City in the home of Jan Hambourg and Isabelle McClung Hambourg. 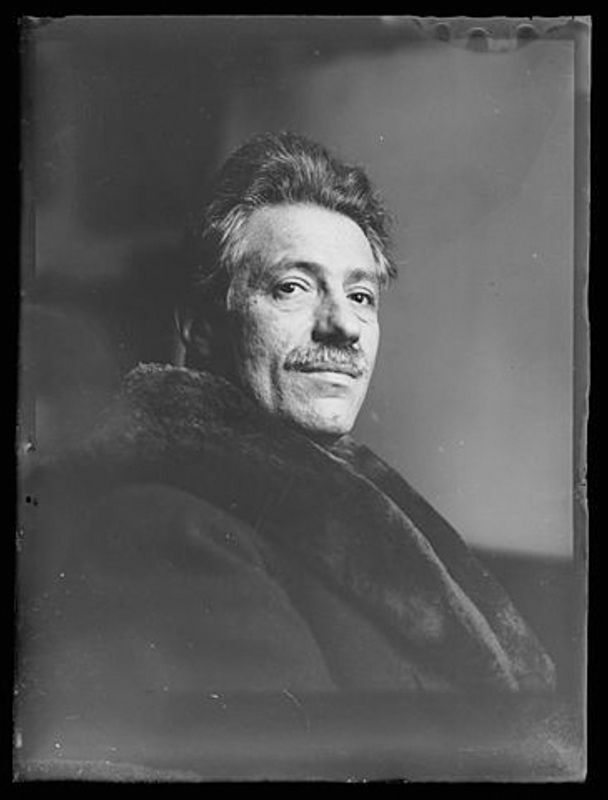 Kreisler toured extensively and resided in several countries, including Germany (Berlin) from 1924 to 1934, and France, where he became a naturalized citizen in 1938. In 1939, he left France for the U.S. and became an American citizen in 1943.